Are you sitting comfortably? Imagine being born with Vitiligo – a condition that causes pale, white patches on the skin due to the lack of a chemical called melanin. This condition varies from person to person so you can’t predict how much skin will be affected and the white patches are usually permanent. You’re also a little African child living in a village in Sierra Leone where you don’t have access to the Internet to do research, no one understands your condition and you are labelled “the devil’s child”. Your uncle decides he no longer wants you and you’re discarded like unwanted garbage and forced to move into an orphanage where children are ranked from numbers 1-27 and yes, you guessed it, YOU are number 27! This means you get the worst clothes and the least food. The civil war continues and you witness the murder of your teacher Sarah and her unborn child – Sarah was one of the few people who truly valued you. Somehow in the midst of the horror that is the back drop to your life you recognise what “happy” looks like in the face of a ballerina on a magazine you find at the orphanage and decide right then that one day you would be like this person. This picture ignites a spark of hope in your dark world. I recently watched your Ted EX talk online and was deeply moved by your story. 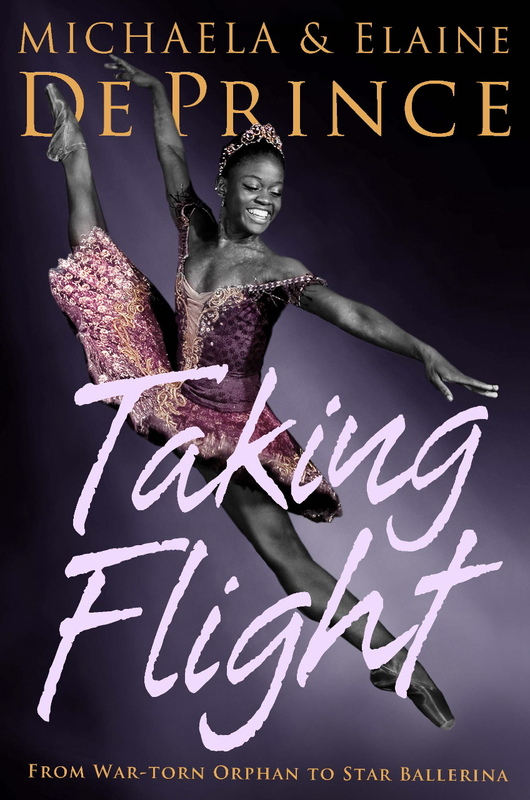 Your memoir ‘Taking Flight’ is a very detailed account about some of the hardships you have faced, but also the triumphs. What advice would you give to someone, who has a dream but see’s no way of making it a reality? You used to be called ‘Devil’s child’ back in Sierra Leone before you were adopted due to your skin condition Vitiligo; you seem so confident now. How have you learnt to accept the way you look? My mom used to have a plaque hanging on the kitchen wall. It said, “God grant me the serenity to accept the things I cannot change; courage to change the things I can; and wisdom to know the difference.” My parents helped me to realize that spotted skin was a minor problem in a world full of wars and diseases that took the lives of so many innocent people. Eventually, I guess I was granted the wisdom I needed to accept myself. What has life been like in Europe with the Dutch National Ballet? I read that you joined the company in 2013, is it different to America and how do you cope being so far from your family? It has been a wonderful experience dancing with this superb company. The repertoire is stimulating, the dancers are kind, and the directors are caring. However, I do miss my family. Fortunately this is the twenty-first century and I can Skype or talk endlessly to my family members on Viber, especially my sister Mia. Also, there is never a day that I do not email my mother and she emails me. There are not many famous black ballerinas, does this bother you and has it hindered your career in anyway? The lack of black ballerinas in America is a problem, and I believe that it did hinder me when I auditioned for companies in the United States and Canada. It affected me so seriously that I began to believe that I lacked talent. Then I auditioned with the Dutch National Ballet and was invited to join. I was so stunned by this that I asked, “You mean I’m accepted?” Ted Brandsen, the artistic director then said, “And what? You thought you wouldn’t be?” This acceptance restored my faith in myself as a dancer. Now that I’m with the Dutch National Ballet, my color doesn’t affect the roles I am cast in. I am judged strictly by my abilities, and I’m so thankful for this. What empowers you to go after your goals? What’s the source behind your strength and determination? This question always makes me laugh because I can imagine hearing my mother in the background saying, “It’s your stubbornness.” Perhaps my mother is right. I am stubborn, and I don’t give up easily. Perhaps I was just born that way, but I think being a spotted child in Africa where it was not a prized attribute, forced me to be strong. If I wasn’t I wouldn’t have survived physically or emotionally. So, ironically, the adversity in my life helped me to be strong and determined. You are passionate about encouraging young people to love who they are and embrace their uniqueness. What advice do you have for someone who feels the way they look will hinder their dreams? Often this is only in their own minds. There is very little about how most people look that should make them feel that it will hinder their dreams. This is what I would tell them. Think of some of the most famous movie stars, and you’ll realize that not a single one of them is perfect. One of my favorites is Meryl Streep, who is an amazing actor, a terrific mother, and wonderfully kind human being. Suppose she had said, “My nose is long and pointy, and I have freckles. I can’t be an actress and have that face out in front of millions of people.” Now think of what the world would have lost. Three random facts about you are….? I LOVE Italian food and eggs! I enjoy cooking, and I’m actually quite a good cook, specializing in omelets and rice dishes. 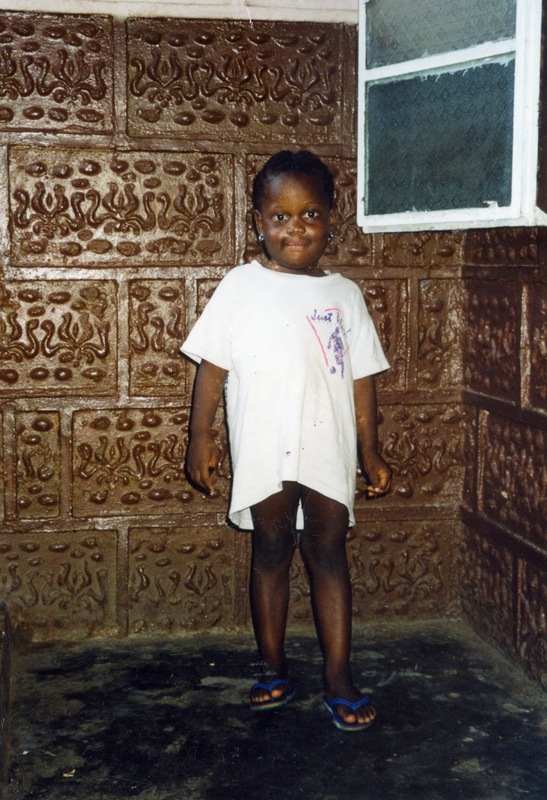 I’ve sponsored a 12-year-old girl from my tribe in Sierra Leone through Child Fund International, and I’m thrilled that by doing this I can pay for her education and immunisations.